Six eco-friendly stories, matching games, coloring pages, and puzzles. Educational fun for your family. 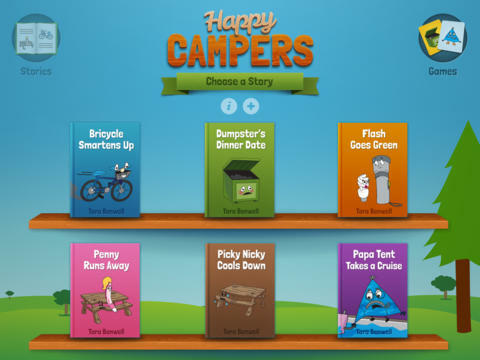 Meet the Happy Campers at the A-OK Campground!